Viknesh Vijayenthiran April 23, 2017 Comment Now! 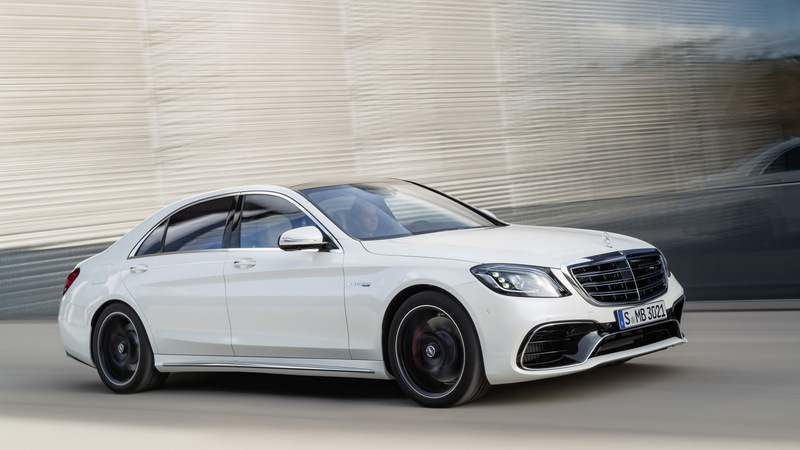 Updated versions of the Mercedes-AMG S63 and S65 performance sedans were unveiled along with the rest of the updated 2018 S-Class range during last week's 2017 Shanghai auto show. The most significant of the updates is a new powertrain for the S63, in this case the 4.0-liter twin-turbocharged V-8 that is slowly replacing all other V-8s at Mercedes-Benz. The S63 sees the engine deliver its highest power output we’ve seen yet: 603 horsepower and 664 pound-feet. That’s the same torque as the S63’s former 5.5-liter twin-turbocharged V-8 but 26 more horses. Fuel economy is also boosted thanks to the smaller displacement and cylinder deactivation technology. 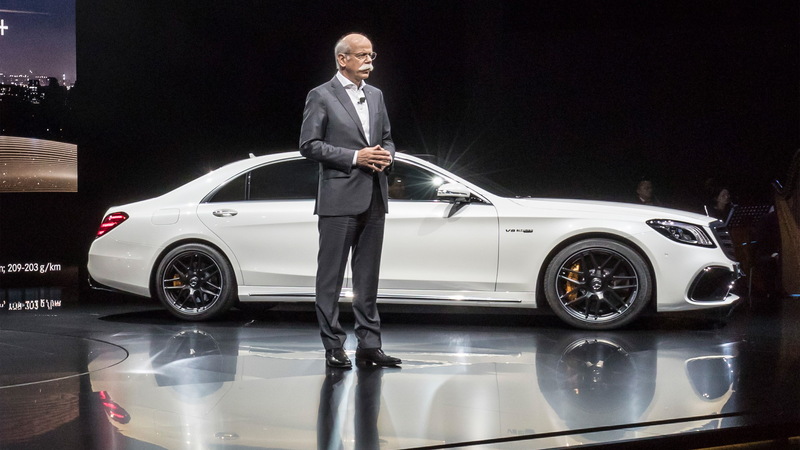 Also helping in this regard is a switch to a 9-speed automatic over the former 7-speeder—and still with AMG’s Speedshift MCT design where the automatic’s normal torque converter is replaced with a compact wet startup clutch for speedier initial engagement. Speaking of initial engagement, initiating launch control on the S63, known as Race Start, has been made easier. When in Sport or Sport+ modes on the driving modes selector, all the driver has to do to initiate launch control is press down on the brake pedal while also fully depressing the accelerator. Optimal engine revs are automatically set, though depending on the requirements or the road surface conditions the revs can be increased or lowered in a certain range by operating the paddle shifters. As soon as the driver releases the brake pedal, the big sedan will storm to 62 mph in just 3.5 seconds. This acceleration is also aided along by the car’s rear-biased all-wheel-drive system which comes standard. Buyers seeking the S65 miss out on a new engine. 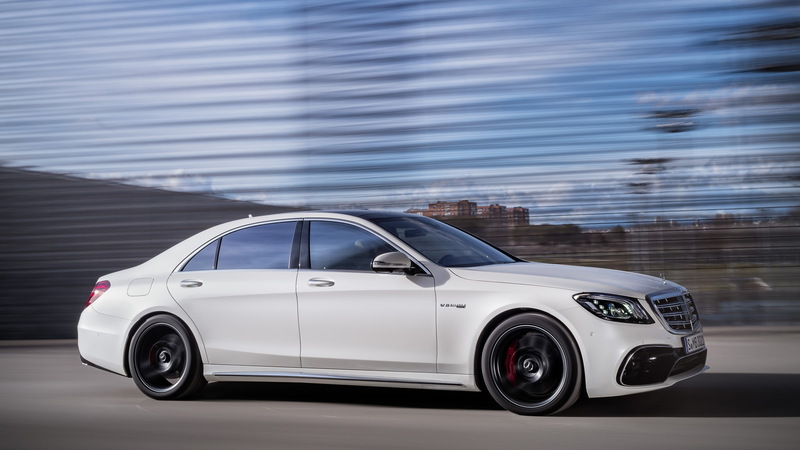 The beast of a sedan continues with a 6.0-liter twin-turbocharged V-12 with 621 hp and 738 lb-ft. It also keeps its standard 7-speed auto. 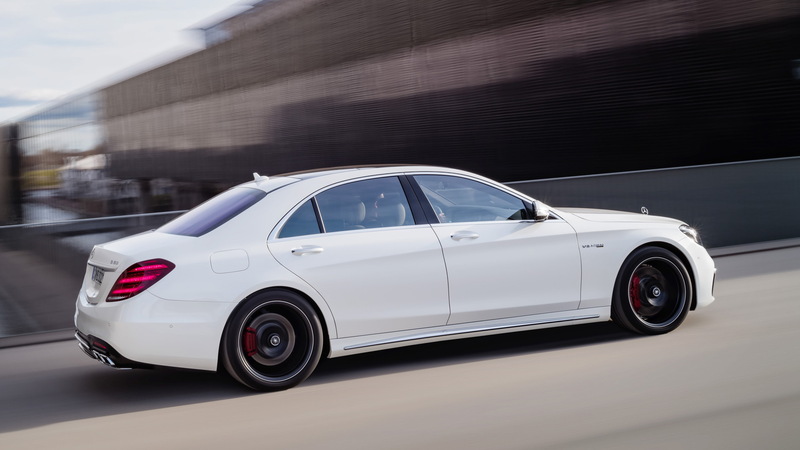 A substantial weight penalty (4,795 pounds for the S65 versus 4,398 for the S63 ) plus the older 7-speed transmission means the S65 is actually slower than the S63, requiring 4.3 seconds to hit 62 mph. The top speed is limited to 155 mph but can be increased to 186 mph for both models. 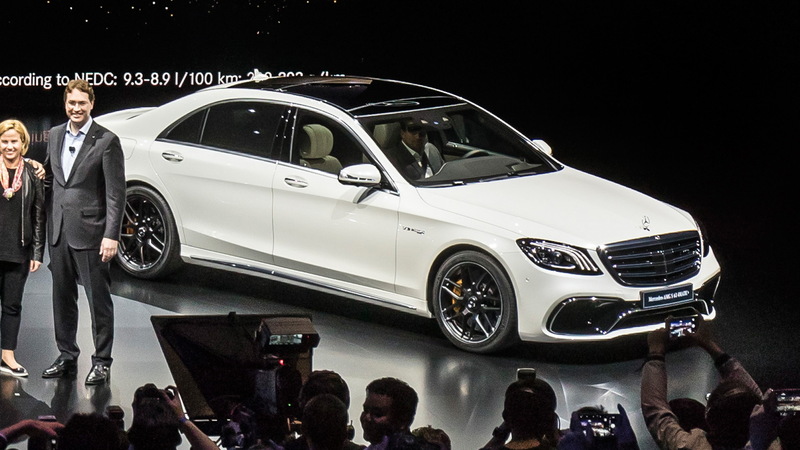 You’ll notice the S63 and S65 now sport a much more aggressive look. This is particularly evident at the front where there’s a new bumper with gaping intakes and a blacked-out A-wing splitter. The cars also wear light alloy wheels and square-shaped exhaust tips flanking a diffuser integrated with the rear bumper. Other updates shared across the updated S-Class range include new internals for the lights, new comfort features, a single plane of glass spanning the instrument cluster and infotainment screens, and new electronic driver assist features. The 2018 S-Class range goes on sale this fall. The all-important pricing information will be released closer to the market launch.